I confess, I really didn’t watch much TV until Netflix® started offering live streaming. Working my schedule around the TV line-up wasn’t going to happen. The closest I got to consuming much television was a hearty dose of the Today Show©, or viewing the entire Gilmore Girls© series on DVD over the course of a year in graduate school. Looking back, perhaps my enjoyment of watching multiple episodes of Gilmore Girls© at my leisure foreshadowed my future passion for television streaming. Netflix® completely changed my television consumption habits. Being able to cue up a show of interest at anytime-without paying for cable! Perfection. In addition to shaking up the television industry, Netflix® also brings strategy lessons for producing quality content across multiple communication channels. 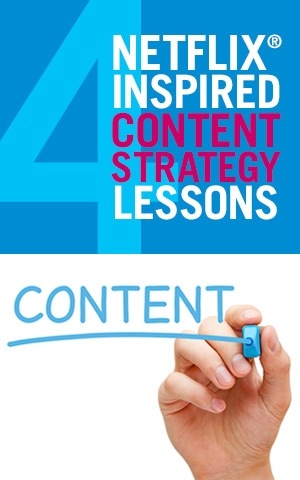 Here is a list of some of the things you can do to improve your content strategy. Netflix® is continuously adding new shows, seasons of current offerings and movies to its line-up. They do this to keep the viewer coming back again and again for enjoyable hours of binge watching. Without new episodes for viewers, we might stop powering up Netflix® on a regular basis. Keep this in mind as you consider content for your brand. Frequent quality content additions keep users interested in your website, Pinterest page, or Facebook page. Providing clients with interesting and usable content on a regular basis keeps users coming back for more. SEO Tip: Adding quality content to your website and social media profiles on a regular basis also tells Google that your brand is relevant to what users may be searching for. Netflix® is available on a mobile app, tablet app, Blu-Ray player connection, Xbox® game console, Roku® channel and many more. Regardless of the platform, Netflix’s® customers are given an intuitive interface to access content.. The content looks the same, feels the same, views the same, and users appreciate that. Users want new content, and they like it to look and feel the way they expect it to. The lesson is simple: With dozens of devices and ever-changing technology, don’t base your content on the canvas you are working with right now. Instead, build your content based on what you have to share and what your audience wants to know. 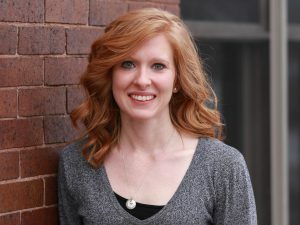 Content Strategist Consultant, Sara Wachter-Boettcher, discusses this concept further in her ‘Beyond the Webpage’ interview and webinar with Usertesting.com. What content can you provide that others cannot or are not currently providing? Netflix®, for example, launched four original series in 2013. By providing one-of-a-kind content, Netflix® generated word of mouth and hooked users who may have otherwise jumped ship to one of the other television streaming services. The lesson learned is to keep users coming back with new and original content. Give your audience information that they can get only from you. We also have a search lesson to learn from Netflix®. While the interface is user-friendly on all devices, using the Netflix® search function often feels like you can’t find a show or movie that should be available. Clicking through each letter of the alphabet to select each letter of the movie title I want to find is not my idea of user-friendly. The takeaway is to help users find content. Every good content strategy involves a strong search component. If users can’t easily find your content, they aren’t using your content. Develop a user-centric content strategy. Think about what users want. What can your brand provide? What are users searching for and how will they find it? How and where will users access your content? “Overview.” Netflix, n.d. Web. 17 Sept. 2013. <http://ir.netflix.com/>.